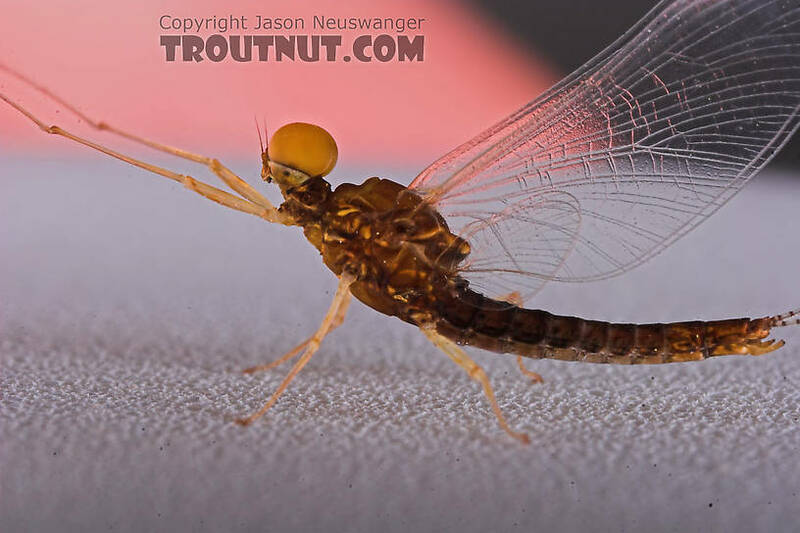 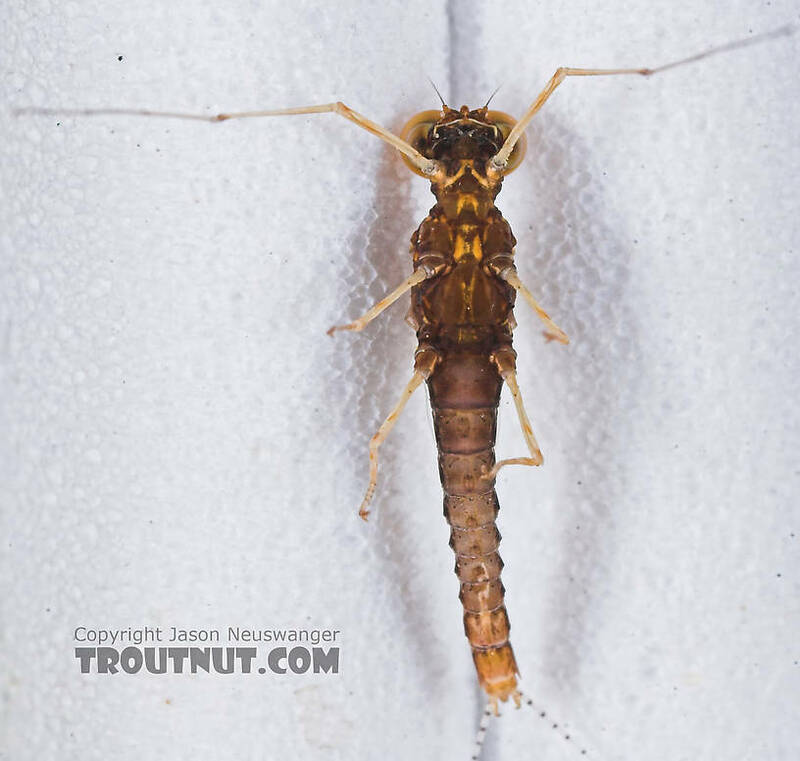 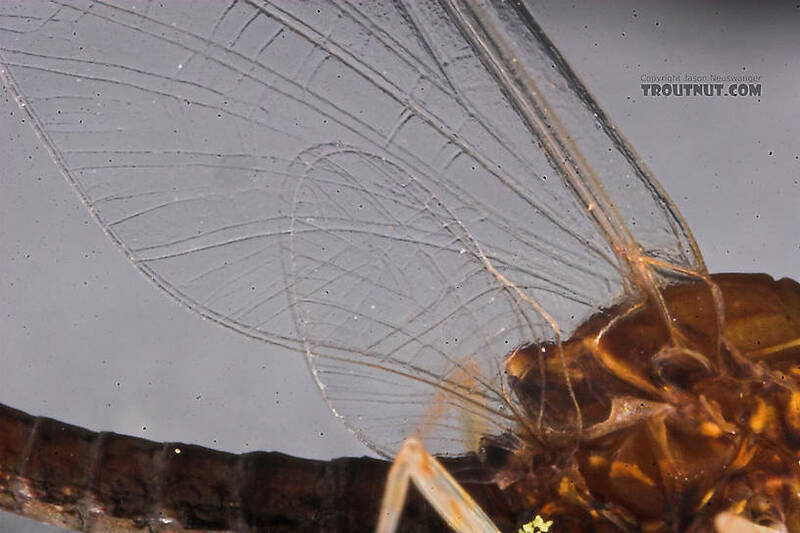 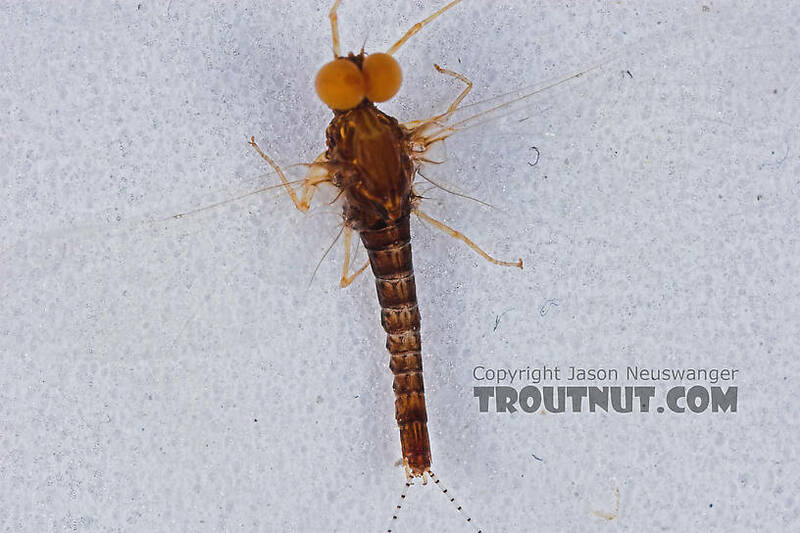 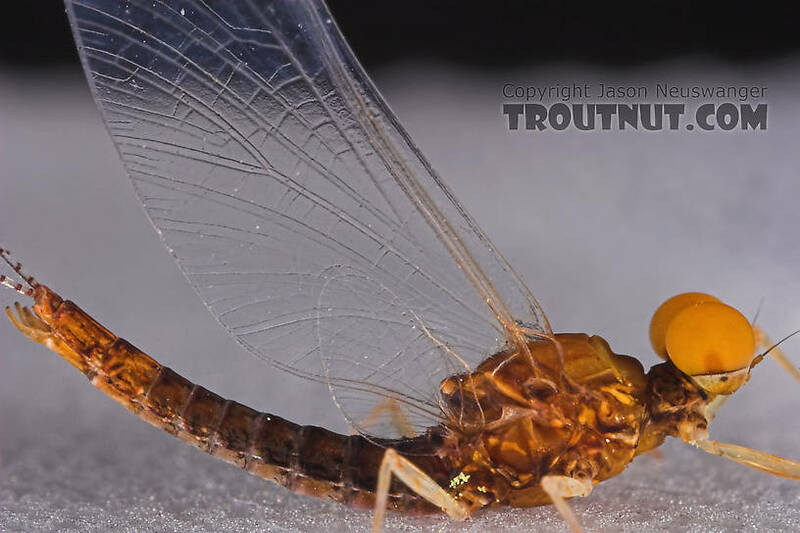 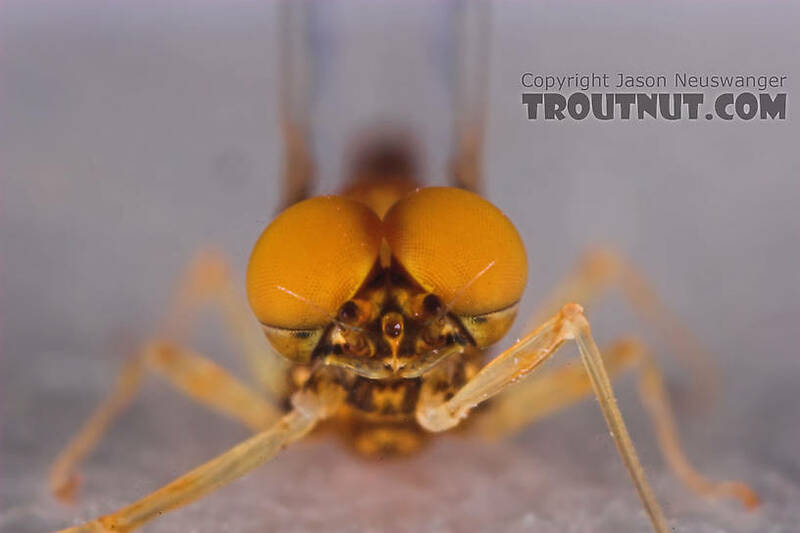 This mayfly was collected from the Namekagon River on June 3rd, 2005 and added to Troutnut.com on May 24th, 2006. 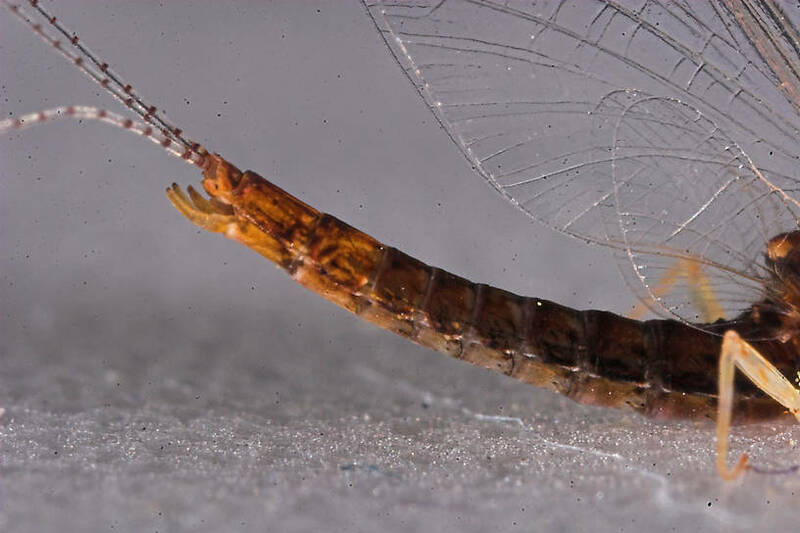 This spinner is Eurylophella rather than E. invaria. 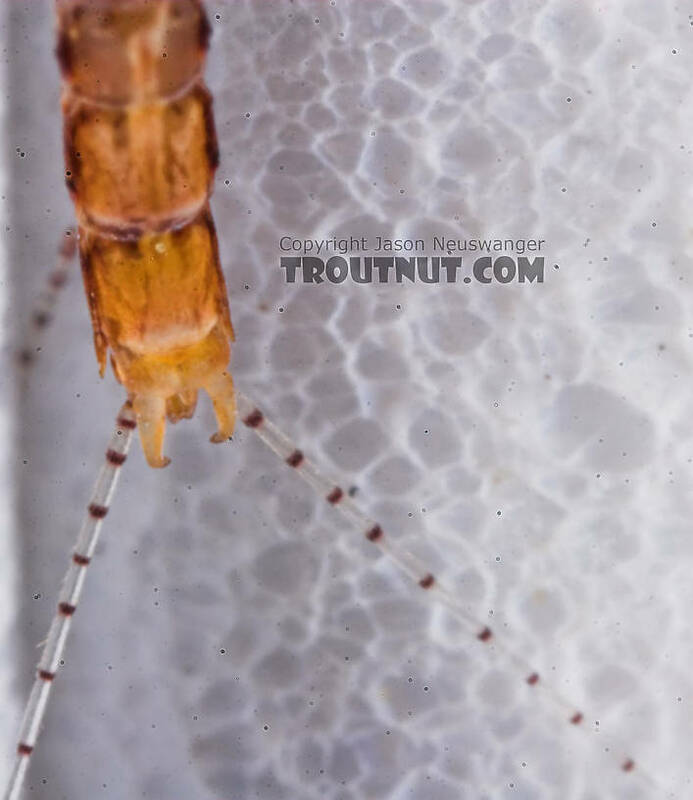 The long 9th abdominal segment of Eurylophella is often the easiest way to avoid confusing the duns and spinners with Ephemerella. 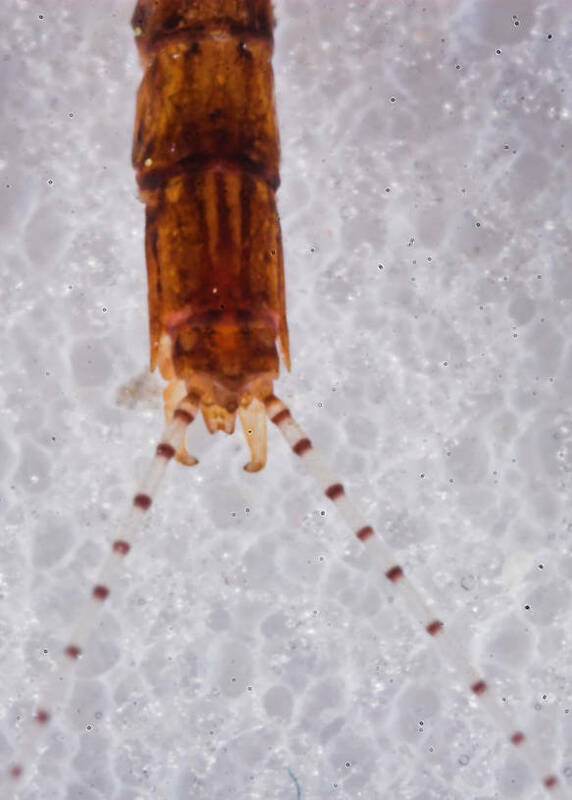 The claspers and genitalia of this male are also representative of Eurylophella. 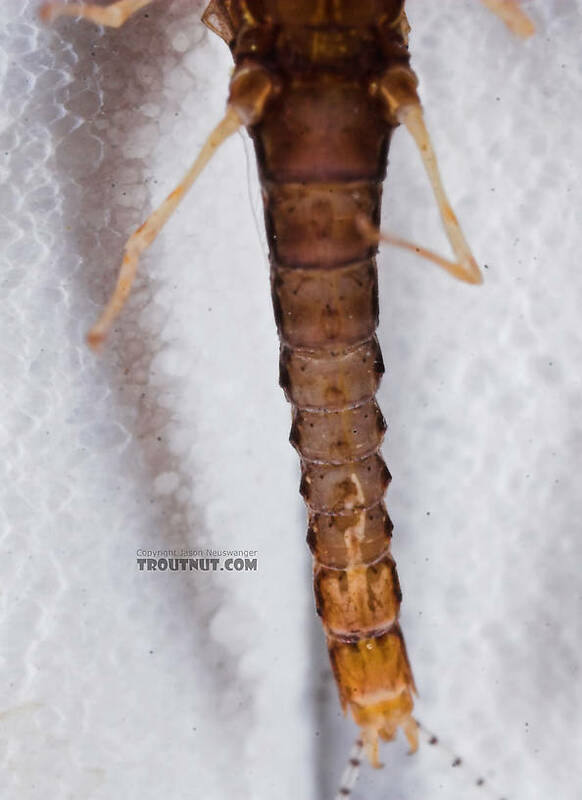 These photos show a darker invaria spinner than I'm used to seeing. 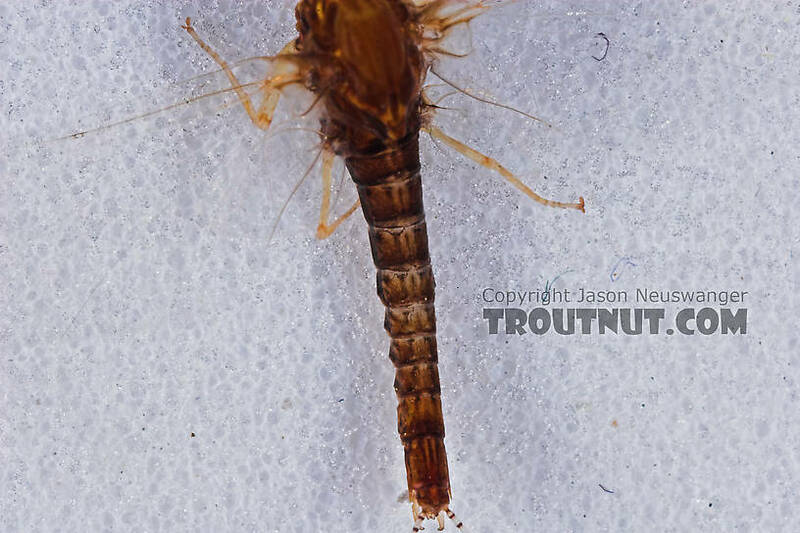 I know color varies a good bit in invaria nymphs and duns, so I suppose color variation is pretty wide with the spinners also, correct?